Aim for a timeless and classic look wearing the Kate Spade New York® Pearlette Small Pearl Studs Earrings. Gold-tone back and scallop detail with plastic pearl accent. 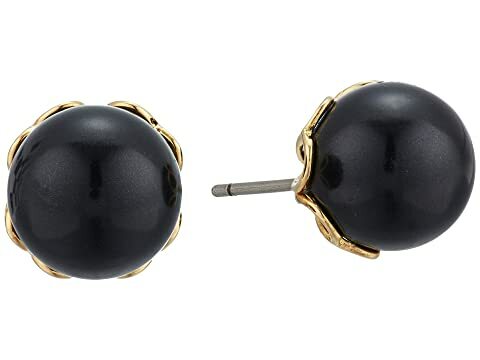 We can't currently find any similar items for the Pearlette Small Pearl Studs Earrings by Kate Spade New York. Sorry!